Congratulations to all my fellow nominees! My little book is sitting there among some amazing company! 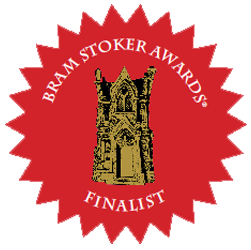 The winner will be announced May 10, 2014, at the Bram Stoker Awards® Banquet, to be held during the World Horror Convention right here in Portland, Oregon. I'm going to try my best to make it to the banquet, which will also be live-streamed. 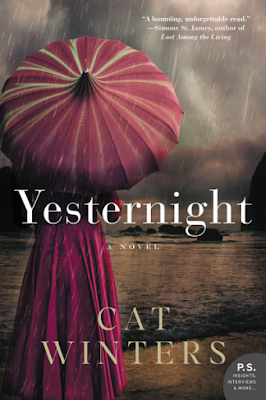 I also learned the novel is a 2014-15 Georgia Peach Book Award Nominee. A committee of Georgia school and public librarians selected twenty books for the list, and over the next year teens will get to choose books from those twenty titles to read and rate, ultimately selecting one winner and two honor books. For more information about the Georgia Peach Awards, please visit georgiapeachaward.org. 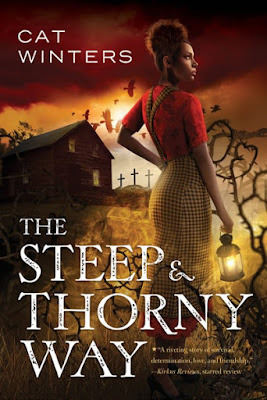 Thank you so much to the Horror Writers Association and the Georgia Peach Book Award Committee for honoring In the Shadow of Blackbirds with these nominations! This past week was a highly productive one for my Fall 2014 release, The Cure for Dreaming. Here's what happened in the span of three days. 1. I saw cover comps for the book! This is the stage where the cover designer sends a few different samples of the cover art, and my editor, my agent, and I, as well as other key players at Amulet Books, weigh in on the designs. 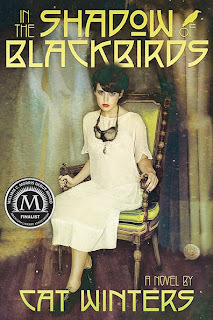 Maria T. Middleton, who also designed both the exterior and the interior of In the Shadow of Blackbirds, is in charge of The Cure for Dreaming, and she has created a cover that's stunning and absolutely PERFECT for this book. I love it! The dust cover will even include some special surprises, so if you plan to purchase an ebook edition of the book, make sure you at least take a peek at the hardcover at some point. I will likely get to reveal the cover design in April. Tweaks are still being made, and Amulet Books typically waits until the seasons' catalogs are ready to be released before sharing the finished designs. Jaime at Two Chicks on Books will host my reveal. 2. 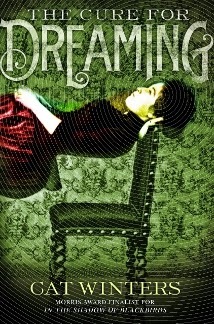 The Cure for Dreaming is now available to pre-order at Amazon! The release date is listed as October 14, 2014, but that won't be considered the official date until the Amulet Books Fall 2014 catalog becomes available. 3. I turned in my latest stage of revisions to my editor. If all goes well and she likes what I've done, the book will move on to the copy editor, and after that stage, the manuscript will turn into page proofs and galleys. 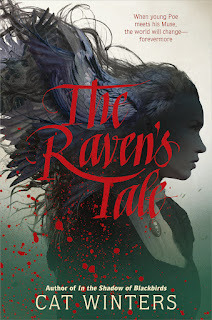 If you're a reviewer and would like to be considered for an advance reading copy when they become available, please contact Laura Mihalick at Amulet Books/ABRAMS. In other news, I finished the first draft of my short story for the 2015 YA horror anthology Slasher Girls and Monster Boys (Dial/Penguin). All of the writers involved with the anthology will be handing those stories over to the editor in the next couple months, so that project is moving along nicely, too. 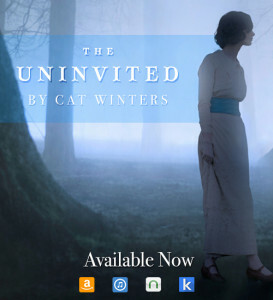 When I'm not working away on these YA projects, I'm busily writing my adult fiction novel, The Uninvited (William Morrow/HarperCollins), which I need to turn in by June. I haven't yet heard the planned publication date for that one, but I'll share the info as soon as I have it. In short, I'm keeping very busy!